Senators took stock of a vital spare tire for the U.S. power grid at a hearing on "blackstart" generation capacity yesterday. If enough of the bulk grid is brought down in a catastrophe, utilities rely on blackstart resources to get their networks back online. These typically consist of small diesel or gas-fired generation units but can also include hydropower and battery storage. 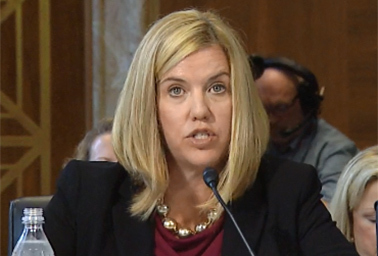 Lawmakers on the Senate Environment and Natural Resources Committee invited experts to Capitol Hill to testify about the U.S. grid's preparedness to pick up the pieces after an extraordinarily bad day. "Just imagine a scenario where everyone living within an interconnected electrical grid system loses power," Chairwoman Lisa Murkowski (R-Alaska) said at the outset of the hearing. "Here on the East Coast, that would effectively mean a blackout that spans from Maine to Florida, all the way to Minnesota, back to Louisiana — hundreds of millions of people could be left in the dark." Such a widespread outage has never happened in the history of the U.S., though a few have come close, such as the 2003 North American blackout that affected some 50 million people and took weeks to fully recover from in some regions. Murkowski pointed out that "the increasing risks presented by cyberattacks — and the threats of electromagnetic pulses and solar storms — make it more important that we be prepared." 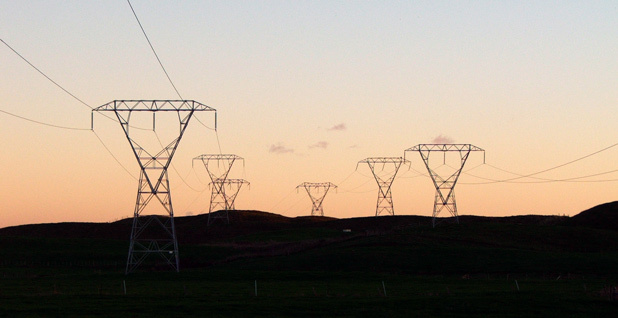 Panelists at the hearing spoke to the U.S. grid's resilience, noting that physical and logical separations among the three major interconnections in America provide a buffer against certain worst-case scenarios. However, the government and academic and industry specialists also spoke to the need to periodically check in on blackstart capacity, given its complexity and importance. "The blackstart process is not so simple," said Juan Torres, associate laboratory director for energy systems integration at the National Renewable Energy Laboratory in Colorado. He painted the painstaking process of re-energizing the grid as an "intricate and multifaceted endeavor, fraught with potential unforeseen technical challenges that are unique to each specific outage scenario." For instance, an especially dire hypothetical blackout could combine a natural disaster like a hurricane with a malicious cyberattack aimed at hampering recovery. Hackers could focus on disabling utilities' communication lines, forcing them to fall back on potentially unreliable or overcrowded radio networks to coordinate delicate "cranking paths" for restoring power. "You need radio spectrum to operate them, and if you have interference during a restoration or a blackstart, you're not going to have the level of communications you need," said Joy Ditto, CEO of the Utilities Technology Council, which represents major power utilities and other critical infrastructure providers. Ditto urged lawmakers to push for additional coordination and education between the Federal Communications Commission, which oversees the radio spectrum shared by everything from utilities to entertainment providers, and the Federal Energy Regulatory Commission, which is responsible for monitoring the reliability of the bulk power grid. "There hasn't been a focus on critical infrastructure sectors" in discussing allocation of finite radio spectrum, she said. "This is an area that we'd like to get the FERC and the FCC together around." Sen. Angus King (I-Maine) pressed witnesses on the likelihood a grid disruption could ever reach the scale needed to trigger widespread use of blackstart resources. "We haven't had a major blackout of that nature for 50 years," King pointed out, sharing his own memories of the Northeast blackout of 1965 that affected tens of millions of people from New York to Ontario. "Is this a realistic risk — is it something that should be on the top of our list, or is it not as high a priority as perhaps other parts of grid security?" Tom Galloway, president and CEO of the North American Transmission Forum, replied that the bulk power grid operators that constitute NATF treat blackstart — and particularly cyberthreats to blackstart systems — as a "serious" concern. "We in the Transmission Forum have been spending a lot of time on the issue of resiliency under the assumption that, however unlikely, something of this scale could happen," Galloway said. A report from grid regulators at FERC and the nonprofit North American Electric Reliability Corp. earlier this year found that U.S. utilities maintained enough blackstart resources to bounce back from a major outage, despite retirements of some blackstart-capable generating units over the past decade. The study team based its review on an evaluation of nine utilities large enough to fall under NERC's jurisdiction. The availability of backup generators, paired with the low likelihood of a devastating grid event, should inform the level of action and economic investment in blackstart capacity, said Andrew Ott, CEO of PJM Interconnection. "This is a realistic threat," he said. "Certainly, we haven't seen it in the past. But the way to approach it is with thoughtful analytics, not panic. And I think you're seeing that" among large grid operators and transmission organizations like PJM, he added. Witnesses at yesterday's hearing offered more general lessons than specific action items for lawmakers, though Tim Yardley, senior associate director of technology and workforce development at the University of Illinois, Urbana-Champaign, urged Congress to consider allocating more funds for "test beds" to rehearse blackstart processes. Yardley is involved with a Defense Advanced Research Projects Agency effort to simulate cyberattacks on grid infrastructure and develop methods to quickly detect hackers, boot them out of crucial networks and restore electricity. Some of DARPA's tools will be put to the test during a first-of-its-kind exercise hosted by the Department of Energy next month (Energywire, Aug. 3). Yardley credited grid operators' ability to bounce back from a conventional blackout but cautioned that hackers could throw a wrench into recovery plans. "I fear that we are still not prepared to [use blackstart] in the face of a cyberattack that eliminates our ability to trust the systems that we use to operate and restore our grid," he said. "There is urgency necessary in closing that gap. The risk is growing, and all of us involved know it." Sen. Maria Cantwell (D-Wash.), ranking member of the ENR Committee and an outspoken advocate of greater critical infrastructure cybersecurity, seized on climate change and cyberthreats as two major concerns for future grid reliability. "We take for granted the lights will always come on when we flip the switch. But our electric system is increasingly being tested and stressed," she said. "There are daily cyberthreats to our electricity infrastructure." This story also appears in E&E Daily.